3 Hard Wax Beans Packs 100 grams each (300 grams total) . If it is your first time using this product, please first test it on a small patch of the skin, if after 24 hours there is no allergic reaction, you can proceed with the full application. If you suffered an adverse reaction, please apply aloe Vera gel on your skin and do not use this product in future. 1.Wash the skin that will be waxed. Don’t apply any oils, gels or lotions as they may prevent wax from properly adhering to the hair. 2.Put an appropriate amount of hard wax beans into pot. .
3.Heat until hard wax beans are completely melted. 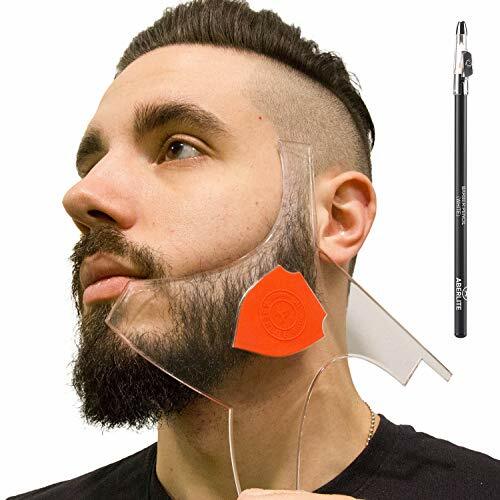 4.Using a wooden applicator to spread a layer of wax on the skin along the direction of hair growth. (Make sure to test the temperature of the wax before pouring it onto your body!) When applying the wax leave the edges slightly thicker for easy removal. 1.Don’t put water in the pot. 3. Don’t wax broken or irritated skin. 4.The thickness of spreading wax should be among 0.2cm to 0.5cm to insure best results. 5.Wait 2 hours after waxing before you take a shower, exercise, or sun bathe. 6.If you are on medication that affects skin or have a skin related disorder, consult your doctor before use. 7.Keep the wax beans out of reach of children. QUALITY: The hard wax beans melt completely in the wax warmer for hair removal in about 10 minutes. The wax kit contains the best quality wax beads with natural wax ingredients. 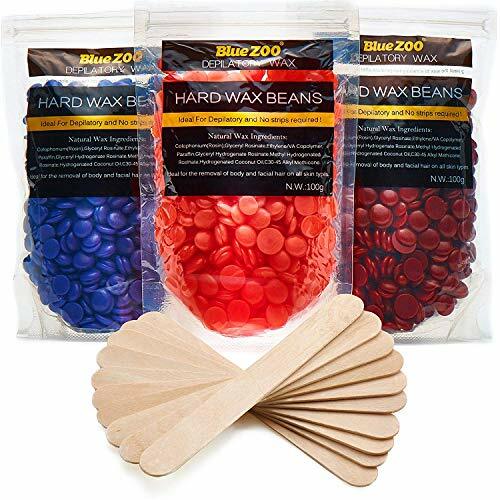 HARD WAX SET INCLUDES: Three hard wax beans bags come weighing 100 grams each (300 grams total) for hair removal with wooden spatulas (10 pcs), 3 packs of hard wax beans of different colors (Blue, red and maroon). CONVENIENCE: The hard wax beads for hair removal, can remove 98% of your bodily hair, such as armpit, bikini area, eyebrows, beard and other hair which you might want to get rid of, from stubborn coarse hair to the finest fuzz, leaving your skin smooth and silky. MAKING IT SPECIAL: Waxing beans packed with care if you require these for your waxing needs with 10 wooden spatulas. They are thoughtfully put together, with love and care for our customers. We do it, because our customers are special. The perfect accessory for traveling! Our TSA-approved travel kits are made right here in the USA! ✈ ALL OCCASIONS – The Freestyle Travel Bottle Sets are ready to go when you are. Whether you need a bag for business travel, leisure travel, weekend getaways, holiday trips, or outdoor activities such as camping and hiking, these are for you! ✈ TRAVEL READY – Equipped with everything you need to quickly get through TSA without any issues. Our Travel Kit comes with: 2 x twist top bottles (2 oz. 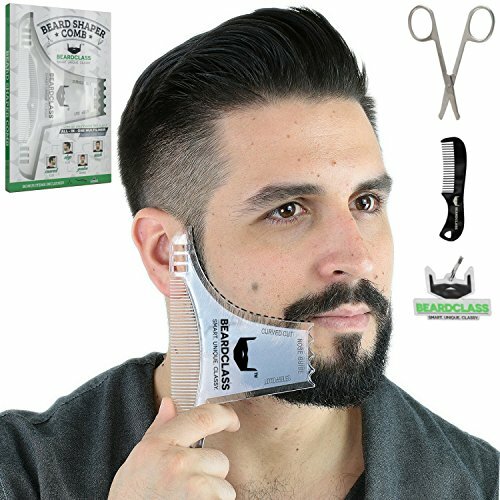 ), 1 x two-piece toothbrush holder tube, 1 x flip-top hinged soap box, 1 x backup hair brush, and 1 x zippered cosmetic bag for easy removal in the TSA line. 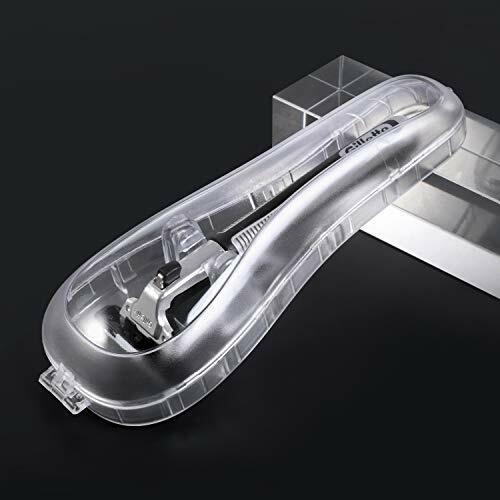 ✈ DURABILITY – The products in our Travel Kits are made from durable PE plastic, and provides the security of not leaking all over your luggage. It’s the perfect liquid and cosmetic toiletries and containers. ✈ MADE IN THE USA – Our Travel Kit parts are made right here in the USA, be proud that you are buying local! ✈ 90 DAY GUARANTEE – If you don’t think our kits are fitting your needs, we’ll refund your purchase, no questions asked. What Sets Easyfun Hanging Travel Toiletry Bag Apart From Our Competitors? Travel Carefree–The large hanging travel toiletry bag has one big mesh compartment, one large zipper compartment and several small mesh pouches, perfect to storing and separating small/medium/large toiletries, make your travel more easy and comfortable. Besides the compartments, this large toiletry bag design with sturdy and durable Hanging Hook and handle strap, you could hang the bag on the bathroom door, shower rod or towel rack for fast access to your toiletries, help a easy and simple travel! 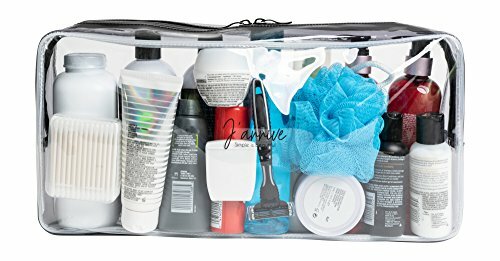 Unique Space Design–Easyfun offer 1 big travel toiletry bag((10.4L*7.2W*3.1H) + 1 small clear tsa approved toiletry bag(8.6L*6W*0.9H), ideal for boys & girls, men& women. 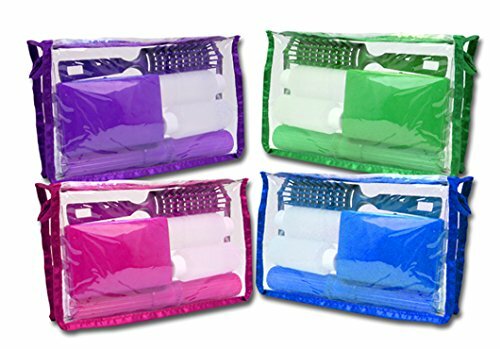 These 2 toiletry organizer kit bags provide large capacity for your travel accessories, like: deodorant, toothbrush, toothpaste, dental floss, shaving cream, shampoo, conditioner, lotion, soap, beauty products, small containers, travel size bottles. Also foldable when not need, save space in your suitcase! 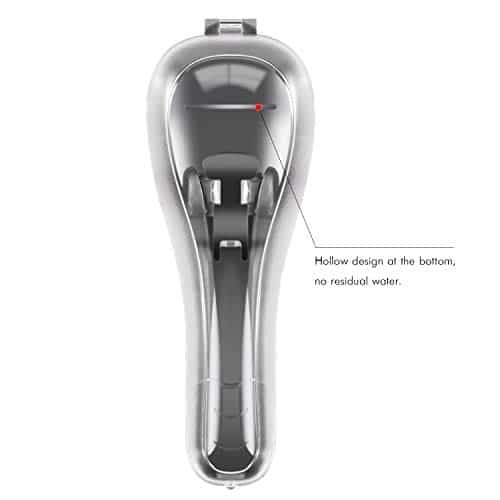 Not Only For Travel–Easyfun adhere to the quality first, choose premium oxford material and upgrade smooth zipper to make the hanging toiletry travel bag. Besides the excellent quality, the elegant looking make this hanging toiletry bag multi-purpose in daily use, can work as a jewelry bag, makeup bag, overnight toiletry kit bag, electronic accessories bag, gym bag. Keep everything compact in bathroom, hotel, gym, yoga studio, dormitory, camping. Top-notch Service–Easyfun strive to offer every customer a happy purchase. LIFETIME WARRANTY give you 100% assured, we hope you can enjoy the product and Any question, feel free to get in touch, 24 hours online customer team will help you at first time! 【Unique Combination For Travel】1 hanging travel toiletry bag+1 small tsa approved clear toiletry bag are perfect for men & women. The large toiletry bag is made of premium oxford material, scratch resistance, the small TSA bag is PVC material, exquisite stitching and smooth zipper, make your trip more convenient and comfortable. 【Large Capacity, Space Miracle】The large hanging toiletry bag (10.4L*7.2W*3.1H inch) has several compartments: 1 large mesh compartment+1 large zipper compartment+ some small mesh pouches. 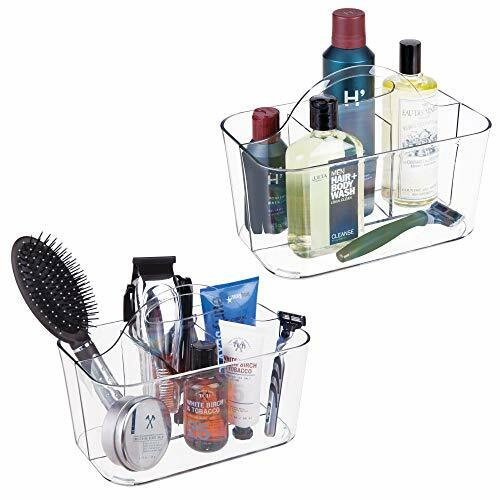 Plenty space for towel, deodorant, mouthwash, toothbrush, toothpaste, hairbrush, shaving cream, razors, makeups, shampoo, conditioner and beauty products. Extra TSA approved travel toiletry bag (8.6L*6W*0.9H) is ideal for not very dry travel size bottles. 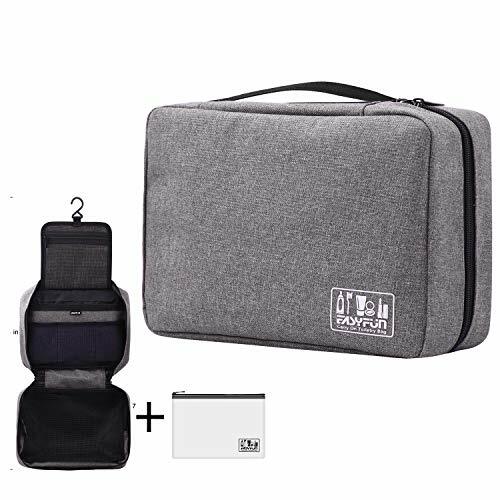 【Multi-Purpose Organizer】This carry on travel toiletry bag is not only to keep toiletries organized and compact when travel, also as a nice toiletry kit organizer for gym. camping. Due to its elegant looking and comfortable touching, it can work as a jewelry bag, makeup bag, , electronic accessories bag, too. 【Hanging For Quick Access】Big travel toiletry bag design with sturdy and durable hanging hook, can be vertically unfolded, you could hang it on the bathroom door, shower rod or towel rack for fast access to your toiletries. Also foldable when not need, save space when store in your suitcase. 【Lifetime Warranty】Easyfun strive to offer every customer a carefree purchase with LIFE WARRANTY. 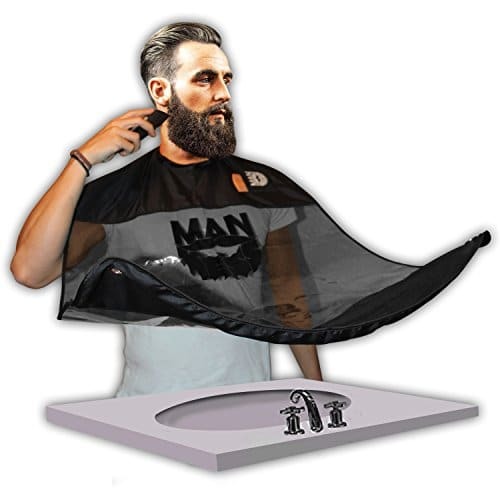 Any question about the Easyfun Hanging Travel Toiletry Bag, feel free to contact us, we will help you at first time. 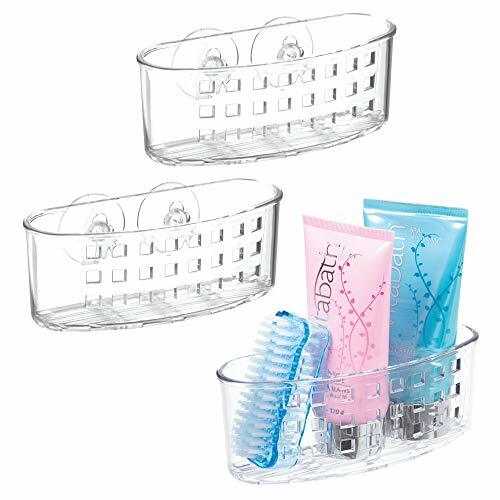 Keep shower essentials at your fingertips with the Suction Shower Caddy from mDesign. The basket adds instant storage, wherever you need it most, with two suction cups that adhere to smooth surfaces with a hold that lasts! Drainage holes in the bottom of the basket let water flow away quickly, so your shower essentials dry fast between each use!